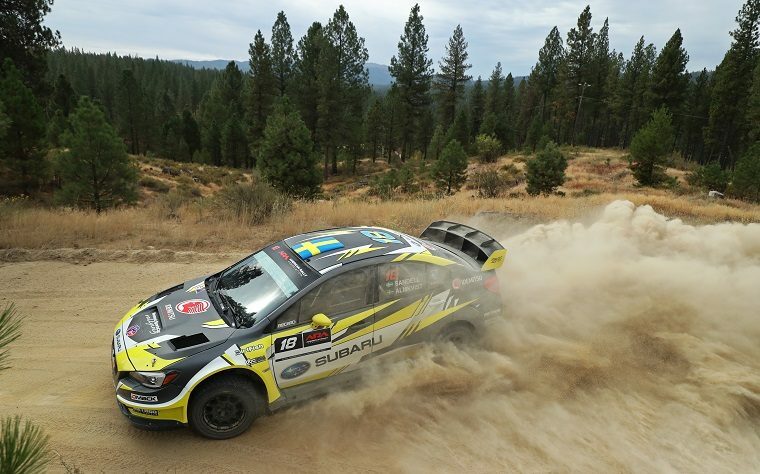 Subaru has added yet another win to its impressive tally of rally victories, this time at the 2018 Idaho Rally International. Patrik Sandell managed to hold off Subaru teammate David Higgins on the dusty, twisty roads of the rally, though Higgins’ lead in the American Rally Association championship is such that he is now mathematically guaranteed to win the motorsport title. The Idaho Rally International was a new fixture on the 2018 ARA calendar this year, having in the past only been used for regional-level events. This meant that Sandell, Higgins, and the rest of the field arrived at the course with virtually no prior knowledge or stage notes, forcing them to adapt quickly as they went. As it turned out, the rally was no walk in the park. The stages were among the narrowest and most technical the drivers have faced in the ARA championship, the difficulties of which were exacerbated by hanging dust. On Sunday, already slightly behind Sandell and co-driver Per Almkvist, Higgins and co-pilot Craig Drew lost even more time because of poor visibility, and though they were able to claw back some time in the end, it wasn’t enough.